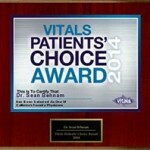 Dr. Sean Behnam M.D. 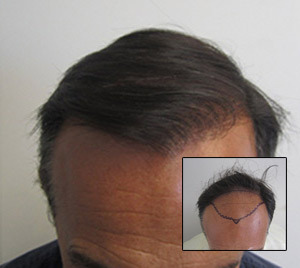 is a hair transplant surgeon and hair loss specialist located in the heart of Los Angeles. He offers free consultations and treats each consultation as a medical examination. He is dedicated to providing the latest technology and research to those suffering from hair loss. He shares his practice with Dr. Ben Behnam who is a Dermatologist and hair loss specialist. 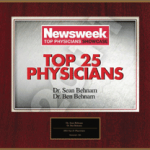 Their practice, Dermatology and Hair Restoration Specialists in Los Angeles, was named as one of the top ten clinics in the country by Newsweek magazine. The actual hair transplant procedure is done by surgically removing hair from the back of the scalp and transplanting it into the top of the scalp. There are two ways of extracting hair from the back of the scalp. One is by removing a strip of tissue and dissecting the follicles from that tissue. 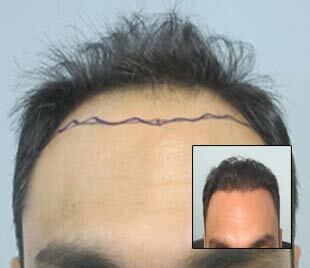 That is called the strip procedure or FUT (Follicle Unit Transplant). The other method is removing each individual follicle one at a time. 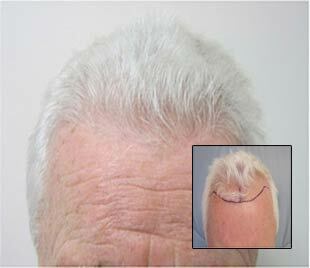 This method is called FUE (Follicular Unit Extraction) and is the latest technology. 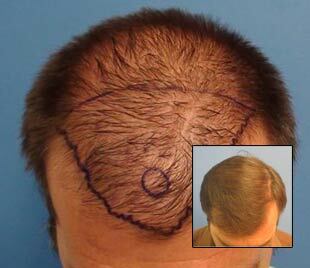 Both procedures are effective and in both the insertion of the grafts into the top of the scalp is the same. 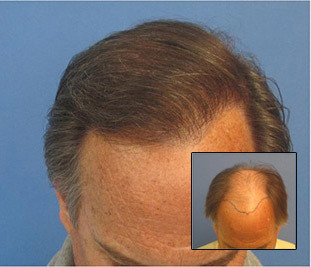 Yes, hair transplant is the only permanent solution to hair loss. For most, the hair on the back of the scalp does not have the receptor for the hormones that shrink hair. That it why the hair on the top of the head often is lost while the hair on the sides and back of the head remains full. Once the hair is transplanted it should never fall out. It can be cut, styled, and colored. 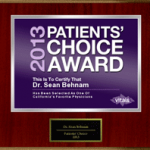 Dr. Sean Behnam has performed over 1,000 procedures and personally performs every procedure. He guarantees a permanent and natural look. You have nothing to worry about. You will be YOU again. You have our promise! Please see consultation page for hair mapping. Zero percent financing is also available. 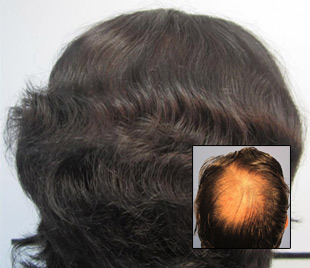 Laser therapy for hair thinning- why we recommend it. Thank you for taking the time to view our site. We know that hair loss is upsetting and we want our site to be a solid first step in taking action. We hope that you get the clear specific information needed to help you decide what to do about your hair loss. A one on one consultation is the best way to learn about your own specific hair loss, but we hope that our site gives the general information to educate those seeking help. We have found that patients who are well informed are usually happier. We offer information, not a sales pitch, and we are committed to giving you the best possible service. We feel that begins with our website. In the consultation, patients receive an honest assessment from Dr. Behnam along with clear, specific options. We understand that only the patient can decide what actions he are she wants to take. So we are committed educating, not selling. We offer information as well as empathy. We respect that experiencing hair loss can be a difficult time so we will not pressure or "hard sell." We hope that you find our site helpful and we wish you the best in finding the remedy that suits you. Please contact us if you have questions or to schedule your free one on one consultation. with Dr. Behnam 310-829-4291. 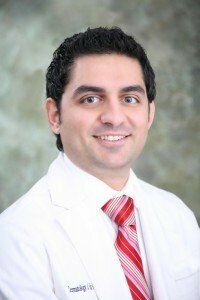 Dr. Behnam receives many calls from fresh graduating physicians who aspire to become hair transplant surgeons. Please click here to contact Dr. Behnam directly.